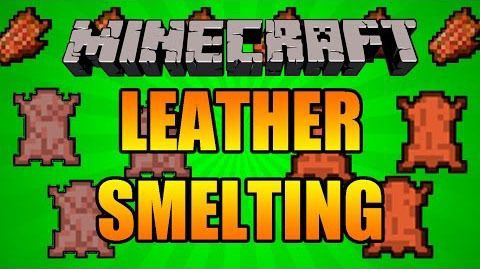 Yet Another Leather Smelting Mod is another mod that brings you a new recipe crafting 5x Rotten Flesh into 1x Patchwork Flesh. In addition, you can also melt Patchwork Flesh into Leater using a new melting recipe. You will gain 0.35 experience from these smelting processes, like what you gain from making steak from raw beef. Download the mod and Airbreathercore (For Minecraft 1.8 or higher). The ID of Patchwork Flesh is configurable in 1.6.4 versions, of course, using YALSM.cfg that gets created in your config folder. It defaults to 9753 (thanks random.org!). 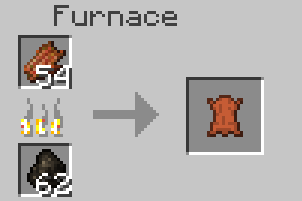 Also optionally (disabled by default) adds a single smelting recipe that allows you to smelt Rotten Flesh directly into Leather. 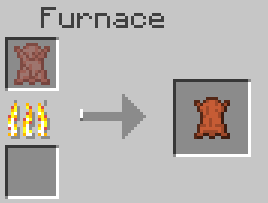 Experience gained from smelting is the minimum allowed (0.1, same as Cobblestone ?> Stone). Turn this on in YALSM.cfg if you want it.